On a brilliant summer day in the city of Mwanza, smiling teenagers march down the street, holding banners emblazoned with a green star. A brass band plays, and photographers snap pictures. It is the local relaunch of the Green Star Family Planning Campaign. The Green Star has a long history in Tanzania. It was first introduced in 1993, when the government adopted the logo to symbolize its national family planning program. That first program was very successful, but a shifting political landscape and the AIDS crisis in Tanzania upended funding priorities for many years. Now the Green Star program is back. The national relaunch was in October 2013, with regional events—like the one in Mwanza—taking place in the summer of 2014. The campaign slogan, “Follow the Green Star,” encourages Tanzanians to seek out family planning information, services, and supplies wherever they see the Green Star logo. It is all part of Tanzania’s reinvigorated focus on family planning. At the 2012 London Summit on Family Planning, the government renewed its commitment to reproductive health and pledged to increase the contraceptive prevalence rate from 27% to 60% by 2015. In August 2014, a small group from the FP2020 Task Team traveled to Tanzania to learn more about how these commitments are translating into action. The group visited a number of health care facilities supported by Tanzania’s development partners and spoke with government policymakers, health care providers and clients. Tanzania’s overall approach to family planning is guided by the One Plan (official title: National Road Map Strategic Plan to Accelerate Reduction of Maternal, Newborn and Child Deaths in Tanzania, 2008–2015), which outlines a unified strategy to improve maternal, child and reproductive health. Tanzania’s progress on some elements of the One Plan has been excellent—the country has already met its MDG 4 for child survival—but maternal and reproductive health indicators are lagging. The nation still has one of the highest maternal mortality rates in the world. The unmet need for contraception also remains high: one in four Tanzanian women would like to prevent pregnancy or space her childbearing, but has no access to contraception. To bridge these gaps and bring Tanzania’s FP2020 goals within reach, the government met with its partners after the London Summit to draft the Sharpened One Plan. The Sharpened One Plan covers the 2014–2015 period and focuses on high-impact practices to be implemented immediately, such as the Green Star campaign. It also provides a framework for advocacy and accountability and identifies the Western and Lake Zones as the areas of the country needing heightened attention. The government also significantly ramped up its budget for family planning. In the 2013–2014 fiscal year, the government released TSh 1.5 billion for family planning, an amount over and above the original budget. For the 2014–2015 fiscal year, the government has budgeted TSh 4.6 billion for family planning. This includes TSh 2 billion in domestic allocation, twice the amount allocated in the previous year. Tanzania’s development partners are responding with their own commitments. UNFPA is supporting the Sharpened One Plan through advocacy for family planning, contraceptive procurement and supply, and service delivery, including youth-oriented interventions and mobile outreach in remote areas. USAID’s portfolio includes contraceptive security, local capacity building, service delivery, advocacy and demand creation, logistics management, and monitoring and evaluation. Implementing partners such as Marie Stopes Tanzania, EngenderHealth, and Population Services International are on the frontlines, running clinics, outreach programs, and awareness campaigns. 10 remote health centers. Now, as a result of its FP2020 commitment, Bloomberg Philanthropies is integrating family planning with the other health services at its facilities. It is still early days, but the numbers are already looking up. In the Western Zone, the Kigoma region’s CPR rose from 14.3% in 2010 to 22% in 2013. In the Lake Zone, the Mwanza region’s CPR jumped 9 percentage points in just two years—from 14% in 2012 to 23% in June 2014. Meanwhile, the Green Star campaign is continuing to roll out across the country. The launch events in Mwanza and other Lake Zone regions were a rousing success, with a flurry of television and radio coverage, special mobile clinics and 186,000 new clients reached in just two months. Launch events in the Western Zone are planned for the fall of 2014. The Kalinzi Dispensary is a small health clinic in one of the most remote regions of western Tanzania. Enidyjoy Daniel stands on the porch, looking out over a buzzing crowd of men, women and children. The head nurse at the dispensary, she is a small, graceful woman. Despite the large number of patients awaiting her attention, she remains unruffled. She was born in a village close by and understands the challenges that women face here. Enidyjoy is one of seven children herself, and remembers her childhood with a touch of sadness. Her mother and father could not support their family. “It was hard to get an education; we had to help provide food, water and firewood,” she says. One day, a neighboring orphanage put out a call for workers to help care for the growing number of abandoned children. Enidyjoy’s desperate father took her to the orphanage and left her there. Over the years, she helped to care for younger children and became passionate about becoming a nurse. The memory of those years continues to fuel her dedication to her career and to promoting family planning. With the support of USAID, Bloomberg Philanthropies, and their implementing partner EngenderHealth, the dispensary provides reproductive and child health care to the women and children of Enidyjoy’s community. Enidyjoy sees 300 to 400 people a month, a number that can sometimes overwhelm the staff of only four. And Enidyjoy is the only trained family planning provider, which she admits can be exhausting. But she does the best she can, believing that women could lead better lives if they could plan their families. Evangelina Rutazaa arrives at the Gungu Health Center in Mwanza, Tanzania, in a bajaji— a three-wheeled motorized vehicle with a small open cab. She steps out with a wide smile on her face and pats down her windblown hair. She is a mobile nurse who travels from the local Marie Stopes International (MSI) headquarters to more remote health care facilities, helping to dispense reproductive health care and family planning services. She has been a bajaji nurse with MSI for three years, but has 41 years of nursing experience. Evangelina is now 65 years old and considers herself retired. Even so, every morning she makes the hour-long trek to pick up her bajaji, meet her driver and start her day. The duo braves rough roads and far distances, all out of dedication to the work they do and the communities they serve. 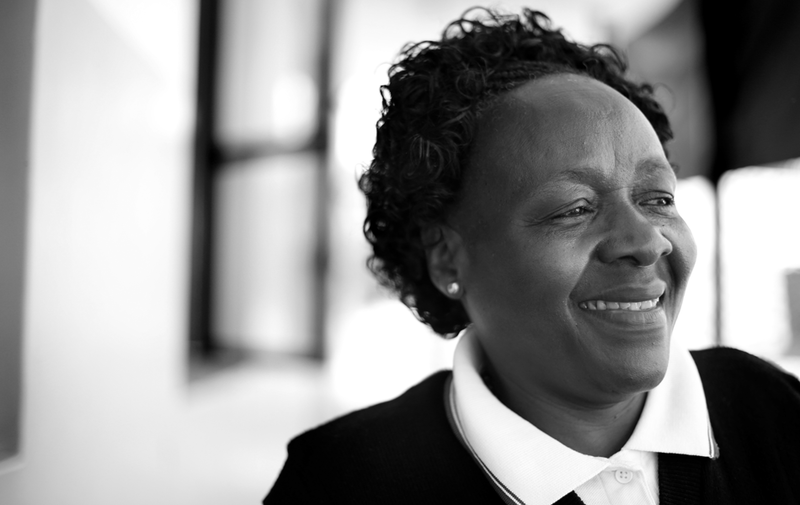 Evangelina is skilled in both short-term and long-acting contraceptive methods, and provides a much-needed extra hand to often-understaffed health care centers. Her male driver is also well educated on the various contraceptive methods. As a “vocal local,” he provides support and eases the concerns of male clients. Evangelina had six children of her own before deciding that was enough. She uses herself as an example to the women she consults. 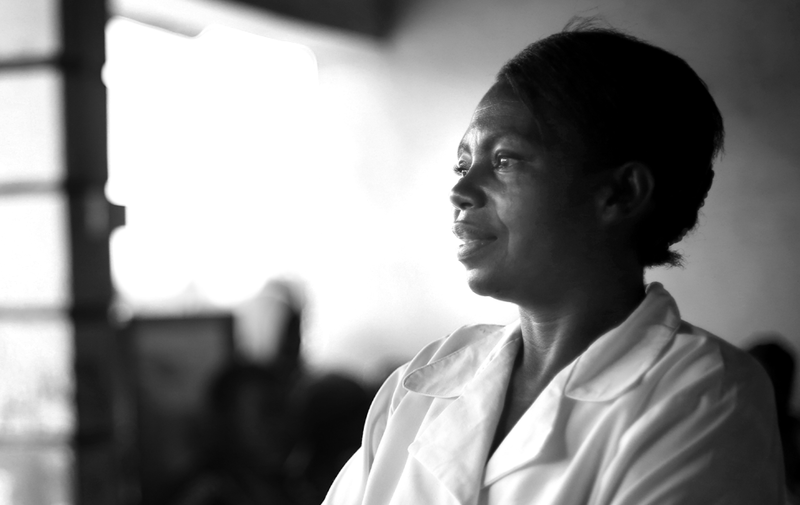 To Evangelina, family planning is key to women’s and children’s health. The most important thing a child needs, she says, is its mother. Family planning helps women delay pregnancies until they are strong enough to survive childbirth. And spaced pregnancies help to ensure that mothers can focus on their children. It is with this passion for her work that Evangelina drives into the hills in her bajaji to deliver her message to women near and far. MSI’s bajaji nurses have proven to be especially effective at meeting the demand for family planning. Bajajis are often used as taxis and can roam the streets without drawing much attention. Women and men can easily and discreetly seek information on family planning services if they know a bajaji nurse will be in town. MSI is now deploying bajaji nurses to schools and universities as well. 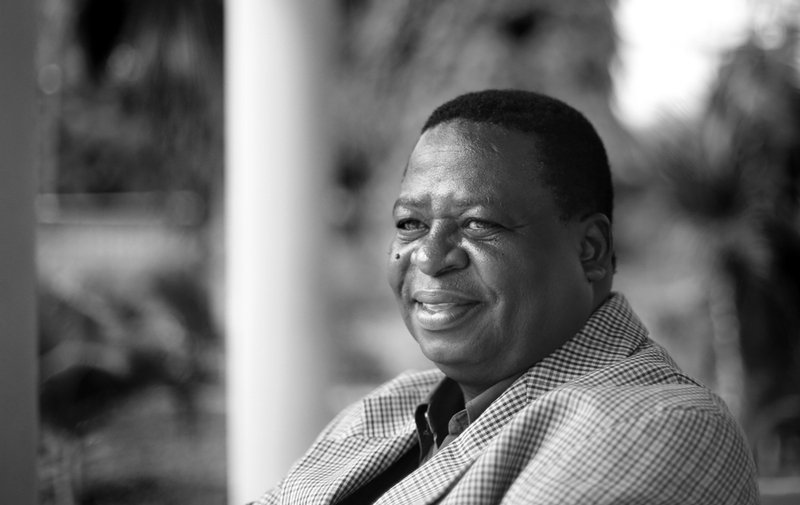 For more than 20 years, Maurice Hiza has been on the frontlines of family planning in Tanzania, first as a clinical practitioner, then as a trainer and ultimately as a policymaker. He is now the National Family Planning Coordinator for the Ministry of Health, responsible for all family planning services and activities in the country. His background as a service provider gives him insight into the real day-to-day issues in clinics and communities throughout Tanzania—and a strong sense of what needs to happen to make things better. “When we started to work on awareness-raising, we started by encouraging women,” he says. Knowledge of contraception was minimal in most regions of Tanzania, so programs were designed to provide women with basic information about the methods and benefits of family planning. Outreach campaigns carried the message outside the clinic walls and directly into the communities. A particularly successful approach was the decision to offer contraceptives to women when they brought their children in for immunizations. This exposed the problem of husbands forbidding their wives to go to the family planning clinic. The male attitude to family planning has proven more intractable. Some men in Tanzania mistrust contraception and believe that women do not have the right to make such decisions. To confront these deeply entrenched cultural attitudes head-on, Mr. Hiza’s team at the Ministry of Health has launched a high-profile family planning champions initiative. 34. The One Plan was developed with financial support from the European Commission, WHO, UNFPA, UNICEF and the One UN Fund, with additional support from many other partners. The One Plan was bolstered in 2010 with the launch of the National Family Planning Costed Implementation Program (NFPCIP), developed in collaboration with the USAID/FHI 360 PROGRESS project. 35. The Sharpened One Plan was developed by the Ministry of Health and Social Welfare with support from UNICEF, WHO, UNFPA, USAID and other health partners. 36. Source: Tanzania Ministry of Health and Social Welfare, via FP2020 self-report.